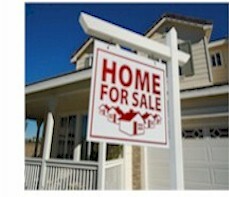 Real Estate Listing Service and Systems using Automatic Phone Answering IVR Service. Call Center Services and Systems from Database Systems Corp.
Our automatic phone answering systems and real estate services can provide timely information about your property listings to callers 24 hours a day. By listing a single 800 number and a property identification number, real estate agents can now provide prospective buyers with up to date information regarding their property listings. Using our phone answering service, agents can update their listing information by recording over the phone the latest information about a property. Callers can use touchtone keys on their phone to obtain the information they require about a property. To be contacted by a realtor, the caller simply presses the appropriate key and leaves a recorded message for a realtor. Likewise, the caller can request to talk with a real estate agent. Our phone service and systems can route the call to any different phone numbers based upon time of day or other business rules established by the broker. Our Real Estate phone systems can not only accept phone calls from prospective buyers but also enhance your marketing programs by performing outbound calling campaigns. Here are just a few of the types of real estate campaigns that can be accomplished using our technology. Real Estate Autodialer - This traditional method of calling dials a number from a phone list when a real estate agent is available to make a call. When the number is dialed, the phone system transfers the real estate lead to an agent. This method simply relieves your real estate agents from the tedium of manually calling real estate leads. This type of calling is appropriate when your real estate offering requires a personal touch and human interaction but limits the number of calls. Real Estate Message Broadcasting - This is another method of calling where the phone system dials from a list and plays a pre-recorded message either to an individual or to an answering machine. A real estate agent is not required. This technique could be useful when you wish to inform a potential customer of an upcoming program, or to provide instructions on how to contact your real estate center. Message Broadcasting and Touchphone Response - This method expands the prior message broadcasting technique by playing a message that gives the potential customer options from which to select. Using touchphone responses such as "Press 1 for...", options could include obtaining additional property information, leaving a recorded message, speaking with an agent, or simply being removed from the call list. A different message can be left on an answering machine. Predictive Dialing - Predictive dialing is very similar to automatic dialing, except the phone system dials several numbers ahead to reduce the amount of wait time between calls that your real estate agents handle. This greatly increases your real estate agent productivity, but may lead to lost calls because the real estate lead auto dialer contacts an individual when no real estate agent is available. KB Home utilizes our voice broadcasting call center to contact individual home buyers who have explicitly expressed an interest in being notified when a new KB home development is opened. Our call center contacts these prospective buyers providing them with a recorded message indicating where a new development has opened and giving them instructions on how to contact their sales organization. Database Systems Corp. can provide your organization with a complete turnkey IVR application and real estate lead auto dialer for first real estate loans and home equity loans. But you can also outsource your marketing projects at very affordable rates through our call center. Using our real estate dialer and your real estate agents, you can enjoy the benefits of this latest technology without the investment of phone equipment and support personnel. This "TRY BEFORE YOU BUY" hosted IVR option lets you experience the results we know you can achieve through automation. Contact DSC today for a free quote. To achieve the maximum results from your phone calling programs, consider using our professional voice over talent services. We have contracted with several professional voice over specialists that you can sample by visiting our Voice Overs and Voice Over Talent web page. These services can be provided to you at affordable prices and can put a finishing touch on your call campaign. The voice recordings can be produced in minimal time at a professional recording studio. Contact DSC to learn more about our products that process real estate leads using our real estate marketing phone systems.